WEST COLUMBIA, S.C. -- People around Brookland-Cayce High School have been trying to guess for weeks the contents of a mysterious box found tucked behind the Class of 1931 brick during auditorium renovations. 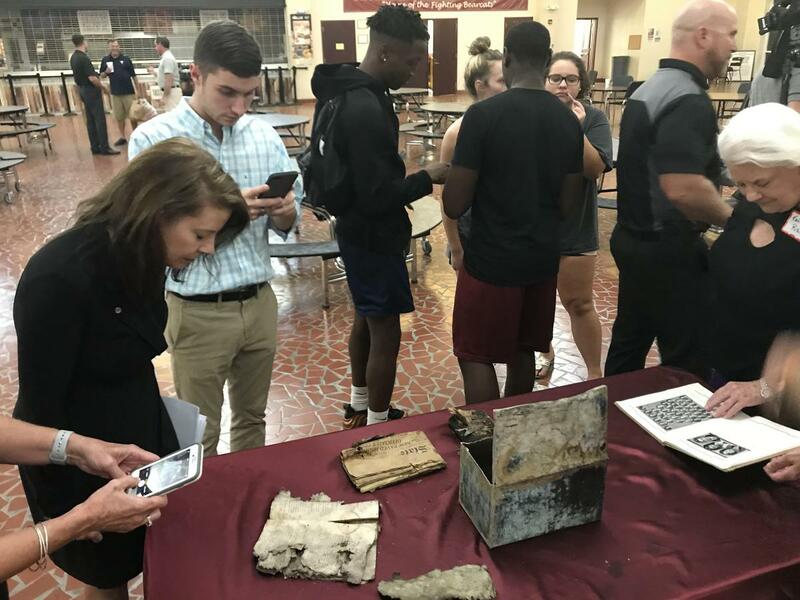 Finally, on Tuesday night, folks had their answer, as the medium-sized, rusty rectangular box -- soldered shut -- was opened for the first time during the Brookland-Cayce High School Foundation’s Annual Membership and Barbecue Supper. 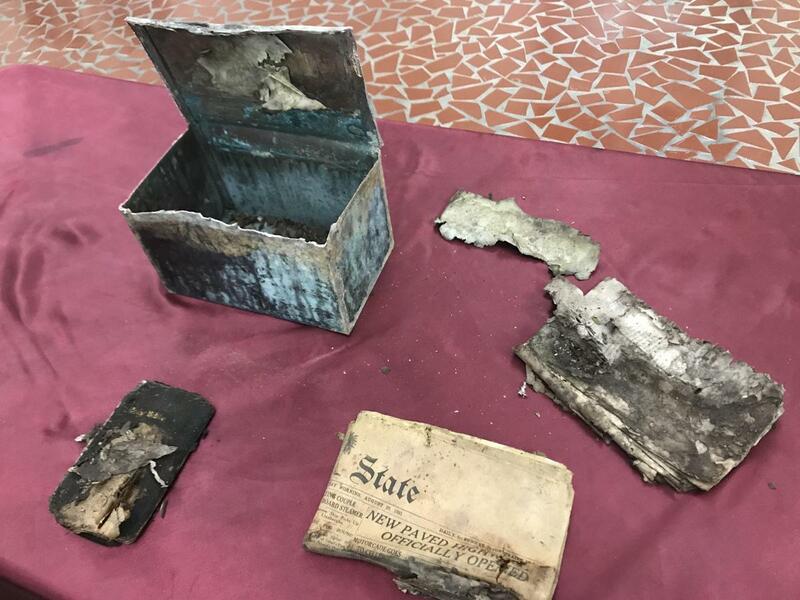 Inside the metal box was an edition of The State newspaper, dated August 20, 1931, with the headline, “New Paved Highway Officially Opened.” Also in the box: a small Bible and what appeared to be a court-related publication with election information from then-New Brookland community. While the box’s contents were in deteriorating states, that didn’t dampen the spirits of those gathered Tuesday to see what the Class of 1931 had left behind -- only to be discovered nearly 90 years later. Sandra Golden’s grandfather, Charlie Crout, was a member of the Class of 1931. 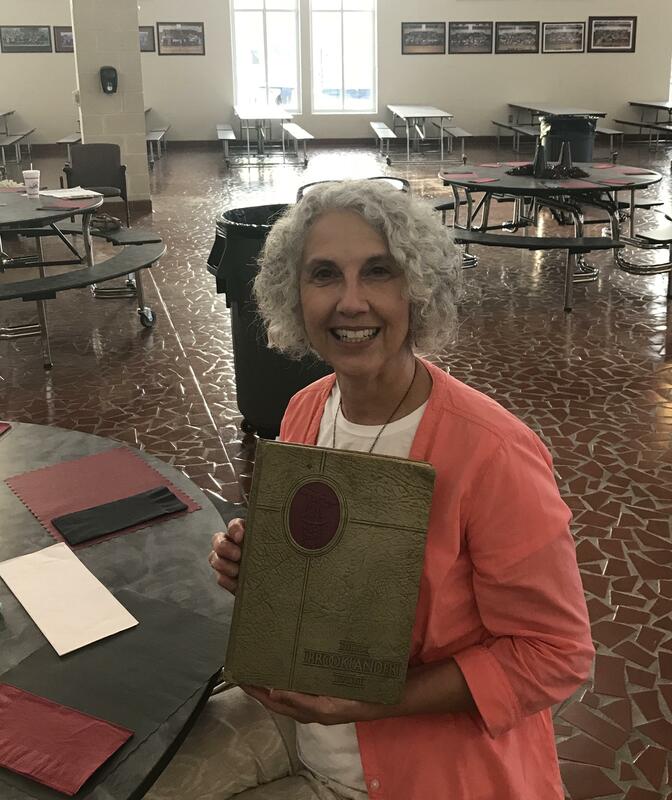 She brought his yearbook to share with others at Tuesday’s opening of the time capsule. “I wouldn’t have missed it,” she said. The box was discovered this summer by construction crews working on renovations to the exterior of the 1930s-era auditorium and school. Brookland-Cayce High Principal Gregg Morton said the hope is to create a display of the box’s contents to share when renovations at the auditorium are complete.